Cassius “Cash” Maskell, age 77 years, a lifelong Highgate Springs resident, died unexpectedly, February 14, 2017, while visiting family in Alexandria, Louisiana. Born at home in Highgate Springs on, February 21, 1939, he was the son of the late Hobart and Angie (Partlow) Maskell. He attended Highgate High School and on July 18, 1959, was married to the former Madeline “Maddie” Delude who predeceased him on, August 13, 2016. Cash faithfully served his country in the United States Army in the mid 1950’s and was a longtime member of the American Legion, Green Mountain Post 1 of Saint Albans and the Veterans of Foreign Wars, Charles DaPrato Post 778 in Swanton. Cash spent most of his working life in construction and for a time owned and operated Maskell Fencing and Guardrail. 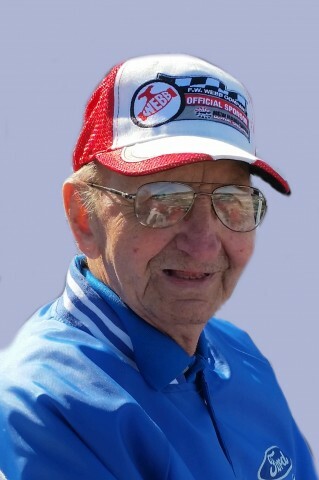 He enjoyed fishing, NASCAR, the Boston Red Sox, spending time in his garage and especially spending time with his boys. He will always be remembered as a very loving and kind man who was always helping his neighbors and anyone in need. He was liked by everyone and will be greatly missed. He leaves his four sons, Mark “Zeb” Maskell and his wife Tracie of Highgate Springs, Anthony “Tony” Maskell and girlfriend Ruth Gleason of Highgate Center, Greg Maskell and wife Gretchen of Saint Albans Bay and Shawn Maskell and friend Erin Lewis of Highgate Springs; grandchildren, Brandy, Meghen, Cody and wife Casey, Mark, Jr., Ryan and wife Brandi, Kyle, Tyler, Alex, Carson, Calypso, Levi and Ryan; five great grandchildren; a daughter-in-law, Frankie Maskell of Swanton and several nieces and nephews including a special nephew, Bruce Grandchamp and wife Julie. He is also survived by his beloved canine companion Molly. Besides his parents and his wife Maddie, Cash was predeceased by a son, Steven J. Maskell on November 16, 2008 and his siblings, Vincent Maskell, Hobart Maskell, Anna Green, Mattie Grandchamp and Sonny Maskell. Friends may call at The Kidder Memorial Home, 89 Grand Avenue, Swanton on Friday, February 24, 2017 from 4 to 7 p.m. Full Military Honors will be accorded at 7 p.m. by members of the Vermont Army National Guard, Funeral Honors Team. Following the military honors a celebration of Cash’s life will continue at the Swanton Veterans of Foreign Wars Hall, 8 Merchants Row, Swanton. Gifts in Cash’s memory may be made to University of Vermont Children’s Hospital, 111 Colchester Avenue, Maun Campus, Burlington 05401.